In alternating Before and After chapters, Waite obsessively analyzes her relationship, trying to find a single moment form the past five years that isn't part of the long con of lies and manipulation. Instead, she finds more lies, infidelity, and betrayal than she could have imagined. 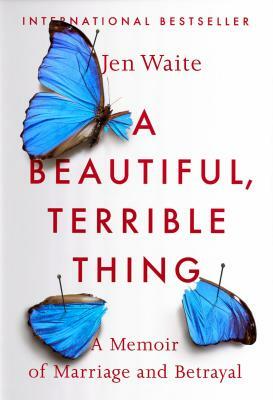 With the pacing and twists of a psychological thriller, A Beautiful, Terrible Thing looks at how a fairy tale can become a nightmare and what happens when “it could never happen to me” actually does. Jen Waite lives in Maine with her young daughter.